In Salem, it seems a witch, or at least an image of one, is around every corner. At high school football games, the mascot wears a pointy black hat and sits atop a broom. The image of that broom-riding sorceress is even emblazoned on the city's police cars. It also adorns countless coffee cups, T-shirts and beer mugs sold all over the city. In short, they believed it was time to give Salem's image a facelift. 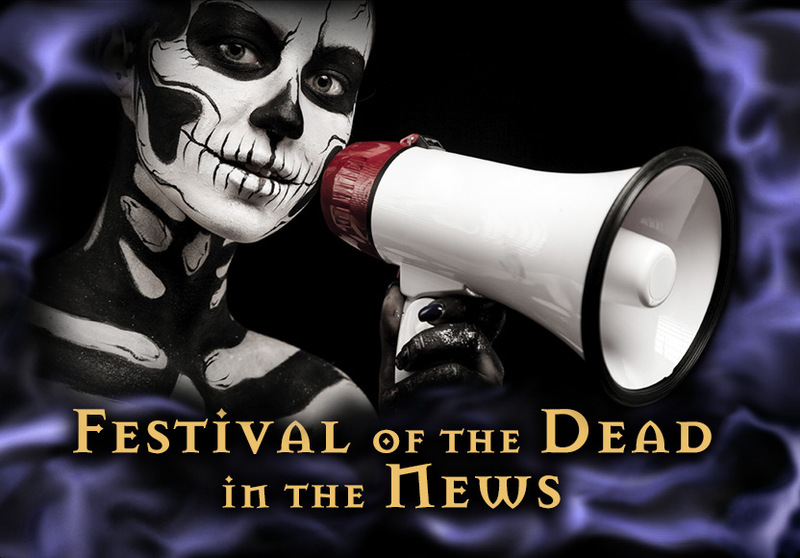 Destination Salem - a nonprofit organization dedicated to promoting and managing tourism, and a partner in the city's annual Haunted Happenings event - even hired a Boston-based advertising agency to juke with Salem's image. At the time, "re-branding" was the hot-button word. Turns out, though, that it was the wrong term ... and a year later, the word "expand" has replaced re-brand. The witches can stay and the high school mascot is safe, but city officials say make room for Salem's other attractions. But as Usovicz and others have found out, without witches, that fabric tends to come apart at the seams. Despite a past rich in maritime history, as well as cultural treasures such as the Peabody Essex Museum and The House of the Seven Gables, Salem's historical fabric, or at least its tourism lure, is held together by a witch's spell. For nearly four decades, the public perception of Salem has basically been limited to Halloween and scary events. Heck, in the early 1970s, the sitcom "Bewitched" aired a string of episodes filmed in Salem, boosting the city's national profile and also playing into its fast-developing witch image. But city leaders would still like tourists to bump into other, less-spooky things when they round a corner. They would like tourists to flock to Salem in months other than September and October. To revitalize Salem's public perception and to broaden the city's appeal, Destination Salem hired Minelli Inc. to help show potential tourists that Salem offers more than wax witches, stuffed witches, practicing witches and wannabe witches. "We're lucky to have our witch history," says Destination Salem executive director Carol Thistle. "We want to keep those people coming back, plus ..."
Plus, city officials want to expand the image of Salem to include its other year-round attractions - the McIntire Historic District, Salem Willows Park and the North Shore Children's Museum, to name a few - and emphasize its storied maritime history. They want to go above and beyond Salem's witch image. To that end, Thistle and Destination Salem have a summit planned later this month with Mark Minelli, head of Minelli Inc., to strategize. "We want an advertising campaign for Salem like a lot of other tourist destinations already have," says Thistle. "Basically, we want to attract more people to Salem." That's fine, say witch supporters and many local business owners, as long as they don't forsake the city's popular witch theme for harpoons and Hawthorne. Focusing solely on Salem's arts, culture and non-witch history, they argue, will mean less tourism money. Business leaders are quick to note that other cities would pay sky-high ad-agency fees for the type of branding Salem's existing witch image provides. Promote Salem's great restaurants, waterfront and rich history, they say, but not at the expense of their witches. "Salem doesn't need a different image," says Jeff Worthley, executive director of the Salem Chamber of Commerce. "Our witch history is so recognizable, that other towns would kill to have it. It attracts a lot of people to the city." 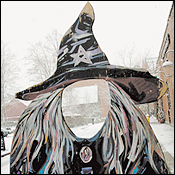 The city's witch image, in part, attracted Peabody native Bob Murch to Salem five years ago. He believes it's a mistake and a waste of money for city officials to market Salem any other way. "I came here because Salem is unique and different," says the 30-year-old Murch. "We already have a Newburyport and a Portsmouth (N.H.). Salem offers things they don't. Walking downtown in the summer, I hear people speaking German and Japanese, and they are coming here to see what the witches are all about. And while they are here, they will discover the other great things Salem has to offer. "The Peabody Essex Museum is great, but it's less than 30 miles from the Museum of Fine Arts in Boston," he points out. "Nobody is going to come here just for that." Hence, Destination Salem's plan for an intense marketing and advertising campaign. They want to change that perception. But despite the steady stream of tourists who visit Salem in September and October, Worthley -and he isn't the only one - believes there is still a segment of Salem that would like to do away with the Witch City image altogether. He doesn't understand it. And Murch wonders why some residents and city officials want to mess with the thing that brings people to Salem. "Witch history is a big part of what Salem is," says Worthley. "And we shouldn't ignore or get rid of that aspect. Even if we wanted to change the perception of Salem, it would be a daunting task." Lifelong Salem resident Bill Burns is up for the challenge, even if he admits there is no going back. But that doesn't mean the former city councilor likes what he's seeing, namely "Witch City this and Witch City that." "It's a distortion of history of what was a tragedy 300 years ago," says the 78-year-old Burns of Salem's witch image. "Innocent people were stoned and hung and now we're laughing at what went on, making light of it, joking about it. Now we have Witch City Automotive. Nobody jokes about what we did to the Indians. We did terrible things back in the 1600s." Murch agrees Salem is making money off a tragedy. "But it's a part of history and we need to resolve our feelings of guilt." The tragedy aspect of the witch image notwithstanding, Salem's sorceresses and spooks certainly are not holding the city back. In fact, Salem is growing, and it's certainly changing, despite its creepy niche. And city leaders want to make sure Salem's non-witch attractions don't get lost in this evolution. "There's much more to Salem than witches," says Usovicz. "We need to tell people that we are much more than that." Fine, but just don't tell the witches to find another haunt. They could leave a curse behind.